Comparator Click, carrying the LM2903 IC, has two independent precision voltage comparators. 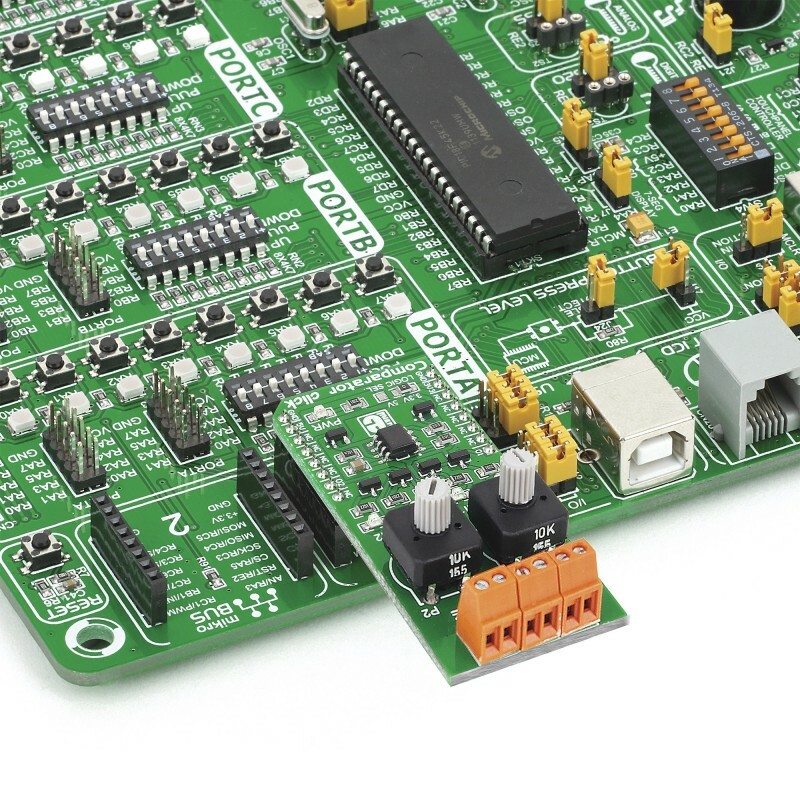 Two pairs of screw terminals allow you to connect separate inputs (additional two screw terminals are for GND connections). 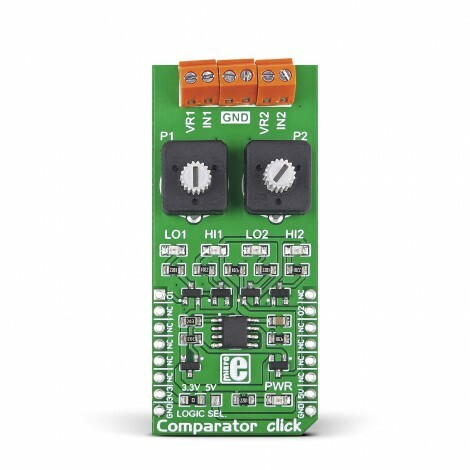 Comparator Click, carrying the LM2903 IC, has two independent precision voltage comparators. Two pairs of screw terminals allow you to connect separate inputs (additional two screw terminals are for GND connections). 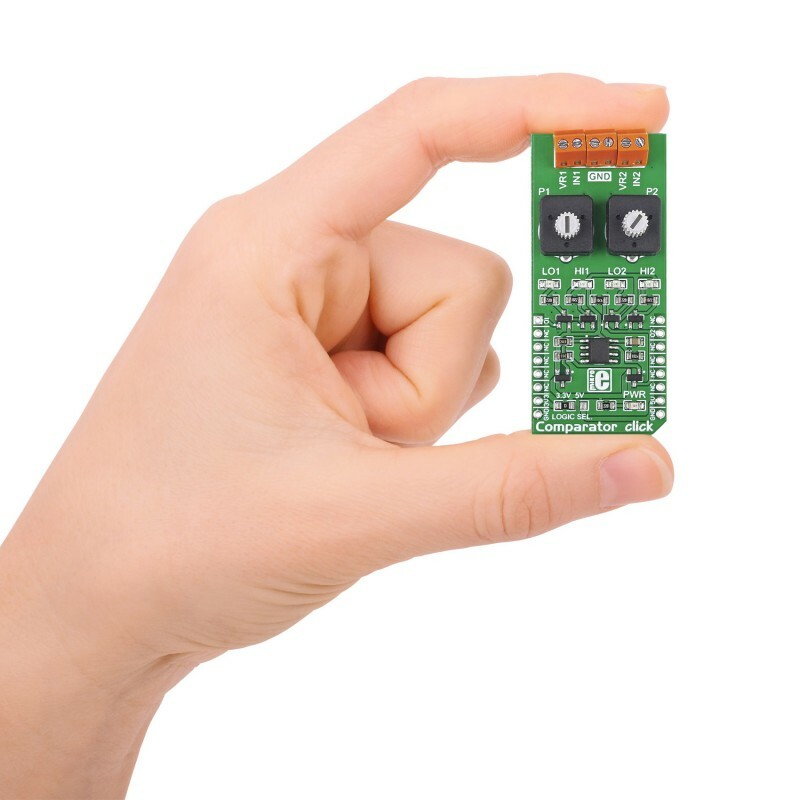 You can use it either with a single (range of 2.0 VDC to 36 VDC) or dual power supply (from ±1.0 VDC to ±18 VDC). Two potentiometers are placed between the terminals and the IC. 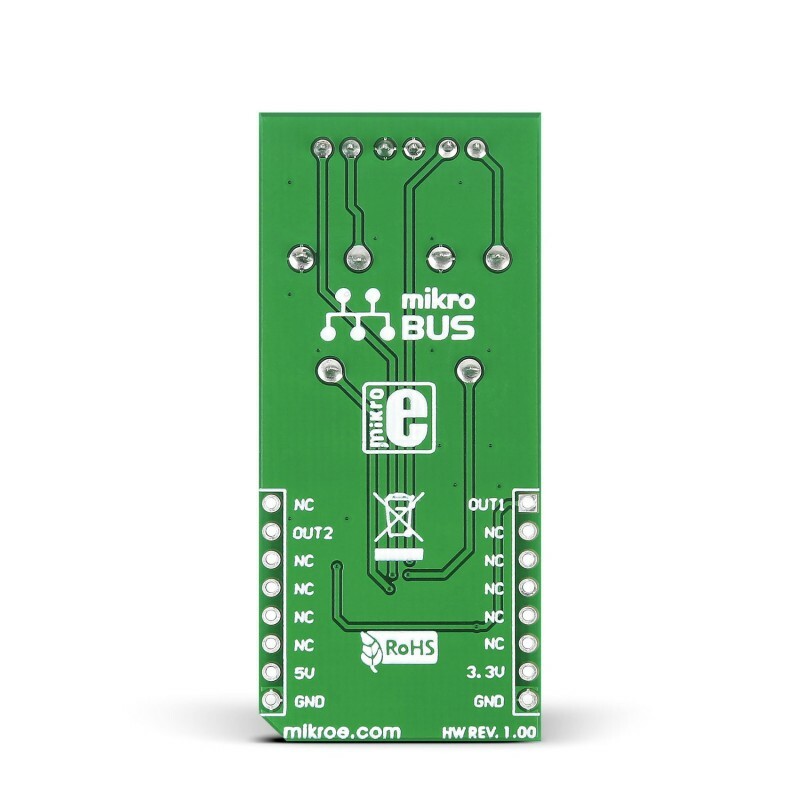 Each input has its own Interrupt pin on the mikroBUS socket (one on the INT pin, the other in place of the mikroBUS AN pin), here marked 01 and 02.